As you could read from my previous posts, I love basketball. That's why it's quite bizarre that I never thought to watch National Basketball League (NBL) before. Silly me!! 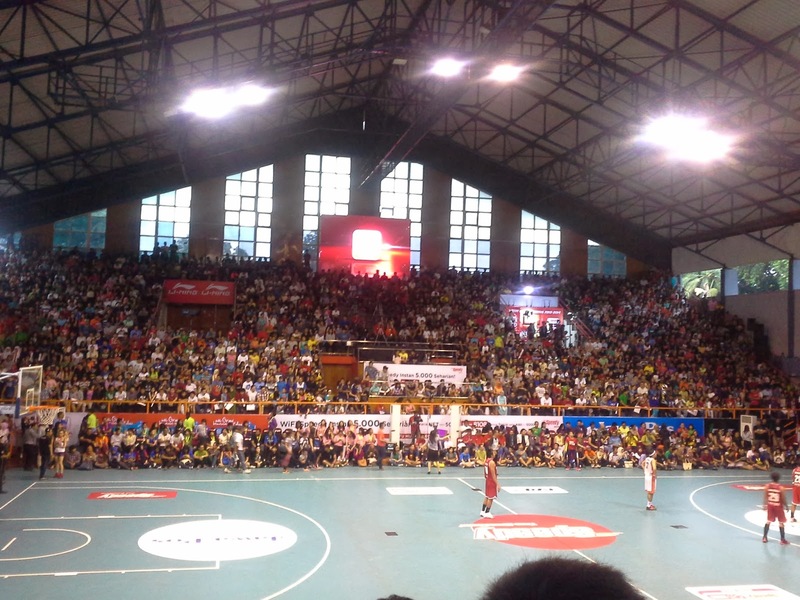 I've been in Jakarta for almost 4 years, yet I never watch NBL until 4 days ago. A tree that I passed while I walk to the venue. I wonder why it become so black. Polution? 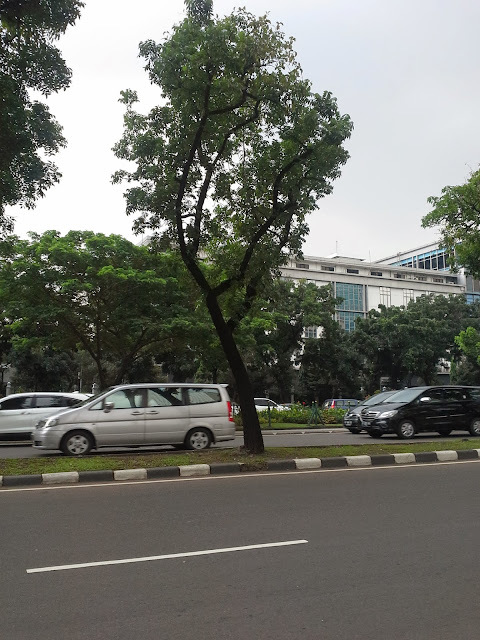 On 11 January, I came to Hall A Senayan at about 2 pm because I want to support one of my acquaintance. He's a basketball player in Hang Tuah Sumsel Indonesia Muda and that day his team was going to play againts BSC Bandung Utama. I planned to watch 3 games that day, my friend's game, Pelita Jaya vs Garuda Kukar Bandung and then the big match, Satria Muda vs Aspac Jakarta. At first, there aren't many spectators. Judging from my ticket number, I was the 153th person to come and watch the game. 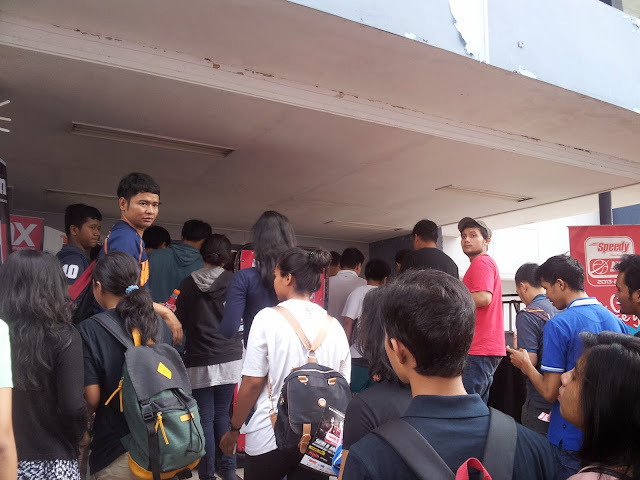 But gradually more and more people came to the venue. My acquaintance's team won the match with score 78-54. Yay! 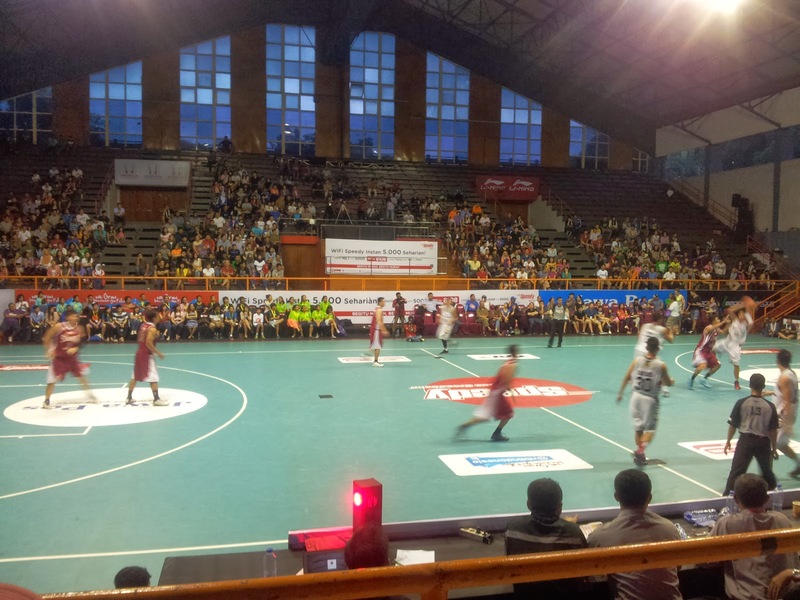 It was clear from the game that Hang Tuah Sumsel Indonesia Muda has better skills than its opponent. 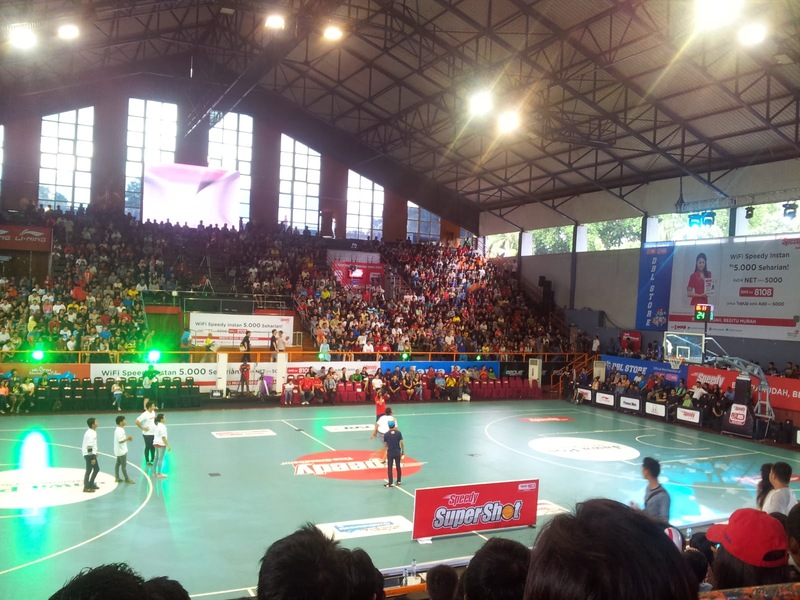 The next match is between Garuda Kukar Bandung and Pelita Jaya Jakarta. I know nothing about those teams but it seems that they're one of the top teams in NBL. 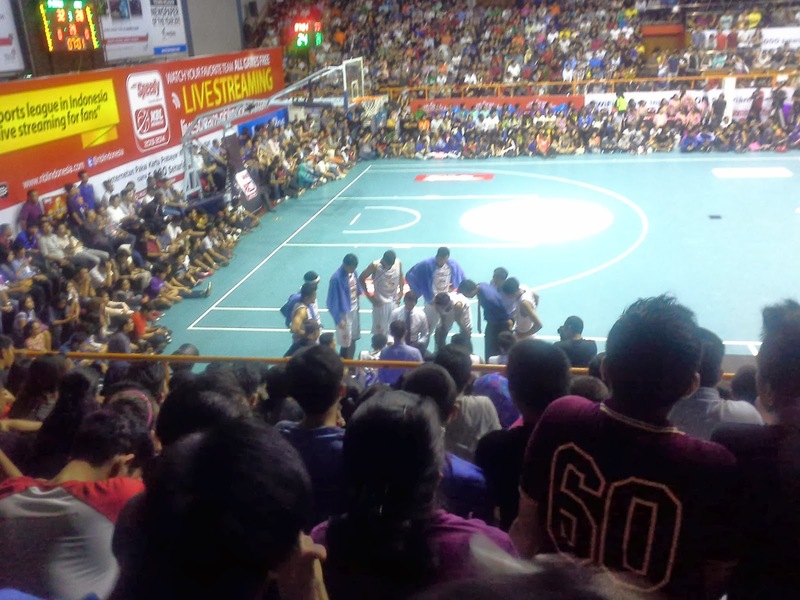 When one of the player from Pelita Jaya must be out from the game because of injury, spectators gave him applause. Apparently he is a renowned player. It's unfortunate for me that I can only saw him play for a short while. This match is over with a painful defeat of Garuda Kukar Bandung. 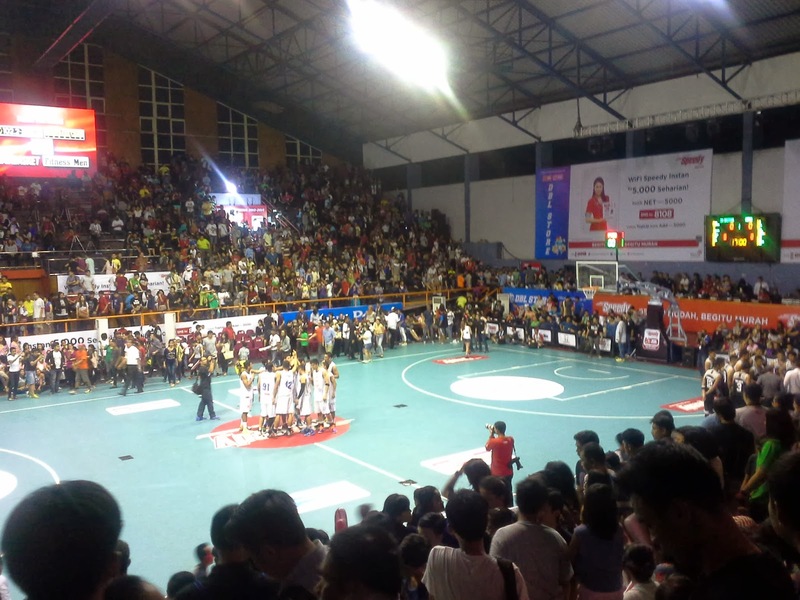 A buzzer beater from Pelita Jaya end the match with score 68 - 66. Some basketball player and cheerleader show their skills in the opening ceremony. After a flashy opening ceremony, the big match between Satria Muda and Aspac started. I've been waiting to see that match because those teams are the top basketball clubs in Indonesia with Satria Muda have won 8 championship and Aspac have won 3 (if I'm not wrong). 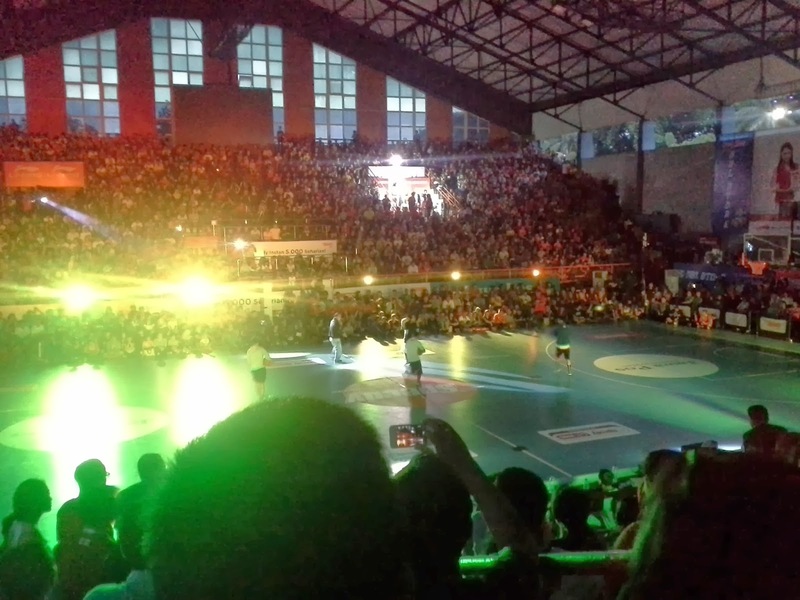 Apparently I'm not the only one who's eager to watch this game, judging from how full the venue is with a total of 4500 spectators. 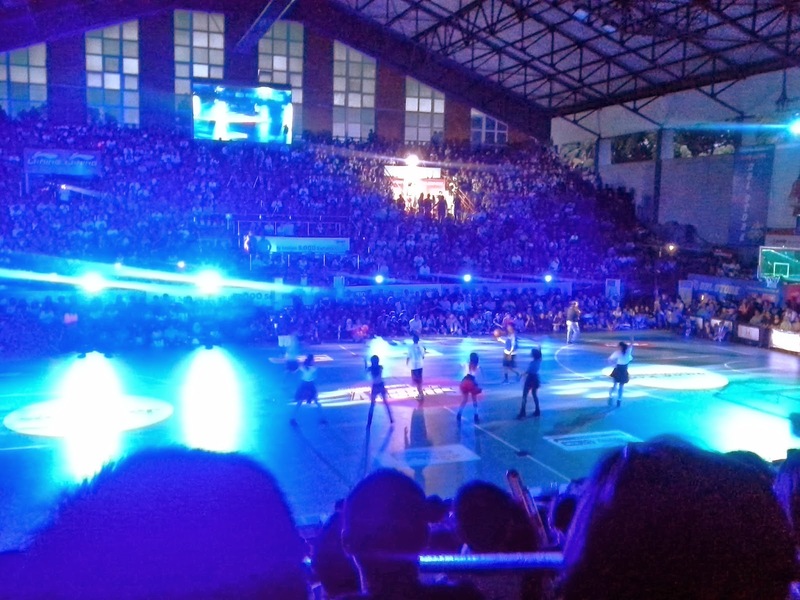 It was so full, many people have to watch from side of the court. Honestly I'm a little bit disappointed with the big match. That's because I thought they weren't playing with their best condition. At the warming up session, players from both team dunk so many times that my heart beating fast, thinking the match must be amazing. I literally was trembling with anticipation and expectation. But maybe because of the enormous pressure, the shooting accuracy of both teams were bad. There's many mistakes in their play, particularly Aspac. I don't think they play as a team, too individual for me. On the other hand, Satria Muda play more calmly. 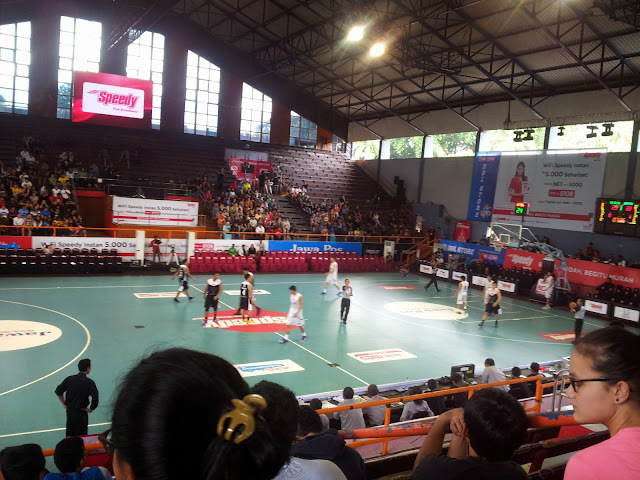 The match ended with the score 68 - 63 for Satria Muda and I became fans of Satria Muda's center, Rony Gunawan. 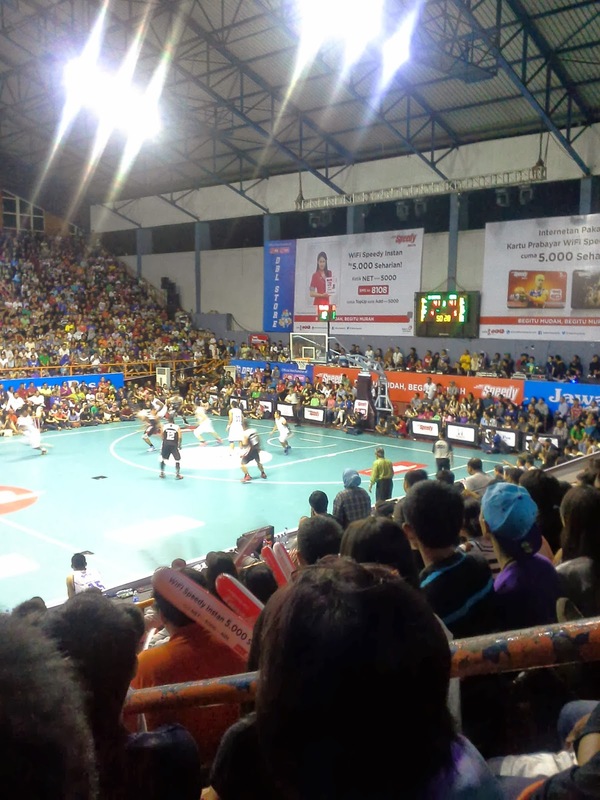 On 12 January, I came to watch 2 games, CLS Knight Surabaya vs Satya Wacana Bandung and Aspac Jakarta vs Stadium Jakarta. After watched the match, I became a fan of Dimaz Muharri, point guard of CLS Knight. 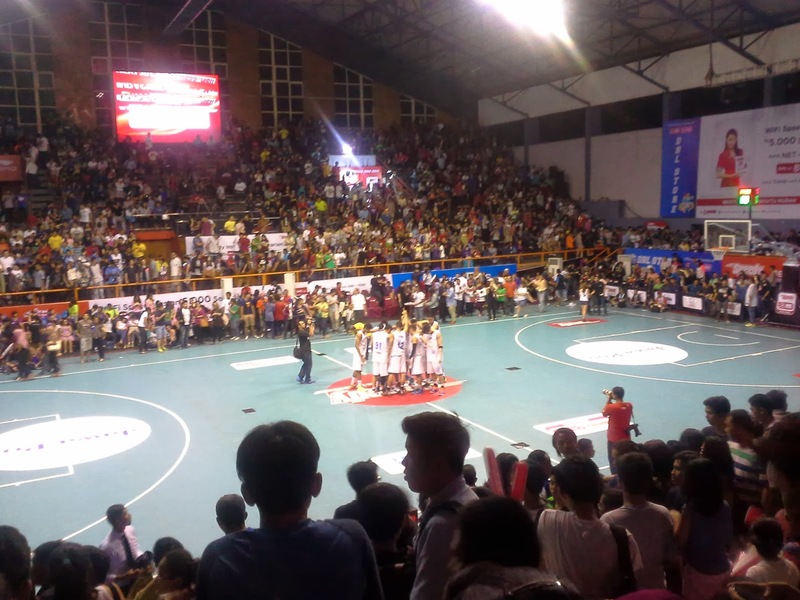 The games ended with the victory of CLS Knight, 80 - 63 and Aspac, 68 - 64. 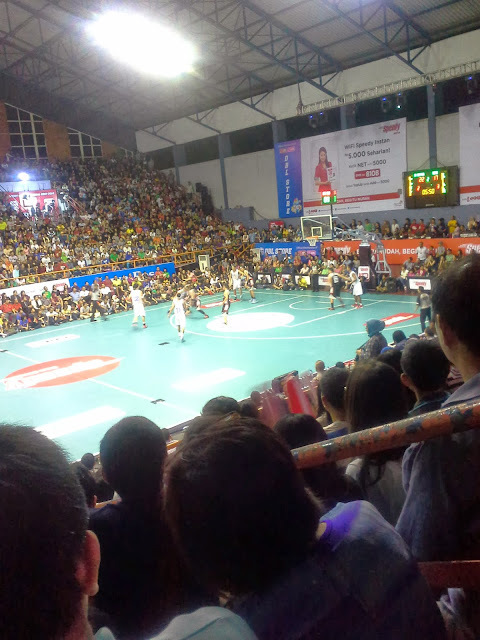 I think I became a fan of Aspac, right after their victory over Stadium Jakarta. They were left behind by 16 points margin but managed to turn the tide in 3rd & 4th quarter and win the game. I particularly love their point guard, Andakara Prastawa. I kind of hate him in the game with Satria Muda, because I think he's too individualists. But now that he's back on the right track and not so selfish, I can see that he's an amazing player >///<. Ha ha ha. The other point guard, the guy with jersey number 3, is great too. I love their shooting guards, Xaverius & Oki Wira. I also love their rookie, number 13, Ebrahim Enguino Lopez. Simply said, I like Aspac. Because I kind of become Aspac's fans and I also want to watch my acquaintance's game, I end up spending my holiday on 14 January by watching NBL in Hall A Senayan. This time I came with one of my friend who love basketball. 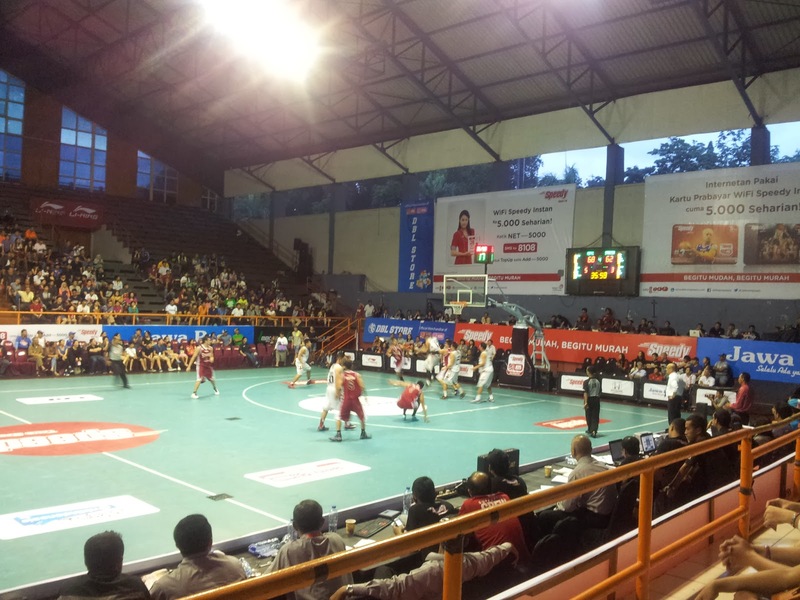 We watched 2 games too, Stadium Jakarta vs Garuda Kukar Bandung and Hang Tuah Sumsel Indonesia Muda vs Aspac Jakarta. 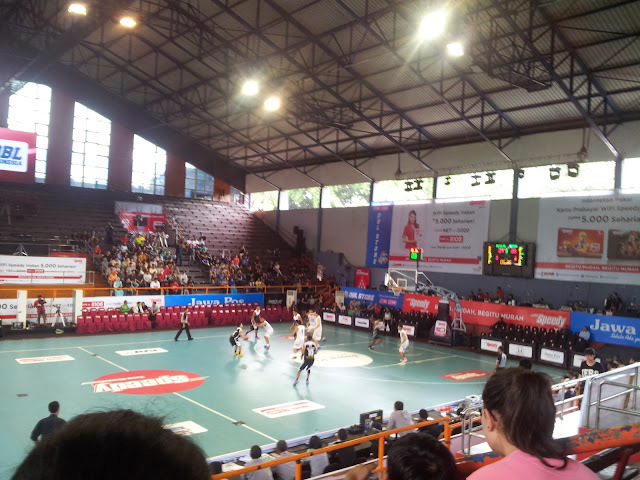 Garuda win with score 69 - 58. 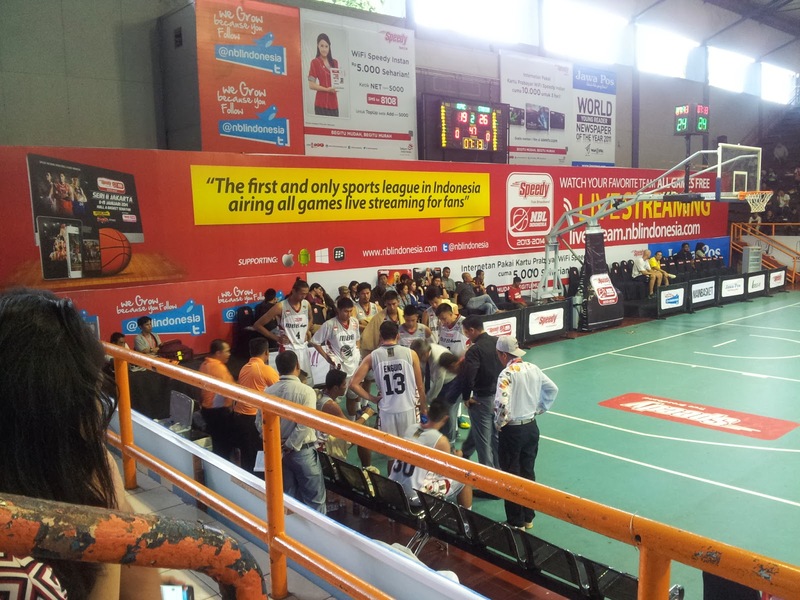 Aspac also win with score 63 - 54. Honestly I don't want my acquaintance to lose. But since they lose to Aspac, then I think it's okay ^^ (laugh). I think this is the best Aspac game that I've watched so far. Why they can't play like that in the game with Satria Muda? Ha ha ha. Whatever. I'm looking forward to next Saturday where I will watch Satria Muda vs Pelita Jaya. I also beyond excited to watch Aspac Jakarta vs Pelita Jaya this Sunday. How about you? Have you ever watch a basketball game before?